Michael Rosen talks to writers and directors about how great characters are created through language. Recorded in front of an audience at Arnolfini Centre in Bristol. 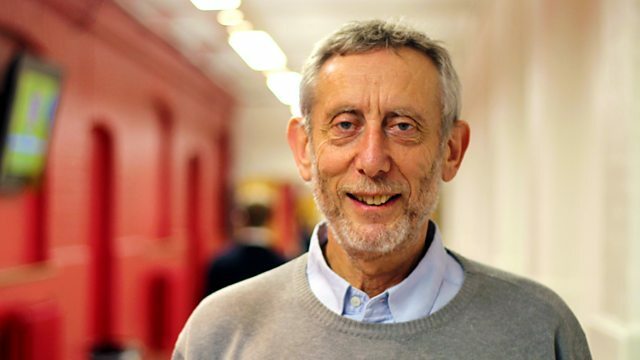 Michael Rosen gathers a gaggle of writers and directors to discuss what makes a great character in a book, on the stage and on the radio. Recorded in front of an audience at Arnolfini Centre in Bristol, as part of Radio 4 Character Invasion Day. Contributors: Andrew Hilton, Founder & Artistic Director of Shakespeare at the Tobacco Factory. Helen Cross, author of radio plays, novels and screenplays. Her first novel, My Summer of Love, became a BAFTA award winning feature film. Paul Dodgson, writer and director of radio dramas, and also a composer and teacher. Why would a fictional character speak in two different voices? Is Anyone Responsible?—What Is a Story?